Jobs Description: Pakistan Forest Institute Peshawar Jobs March 2019 are listed below in our site. 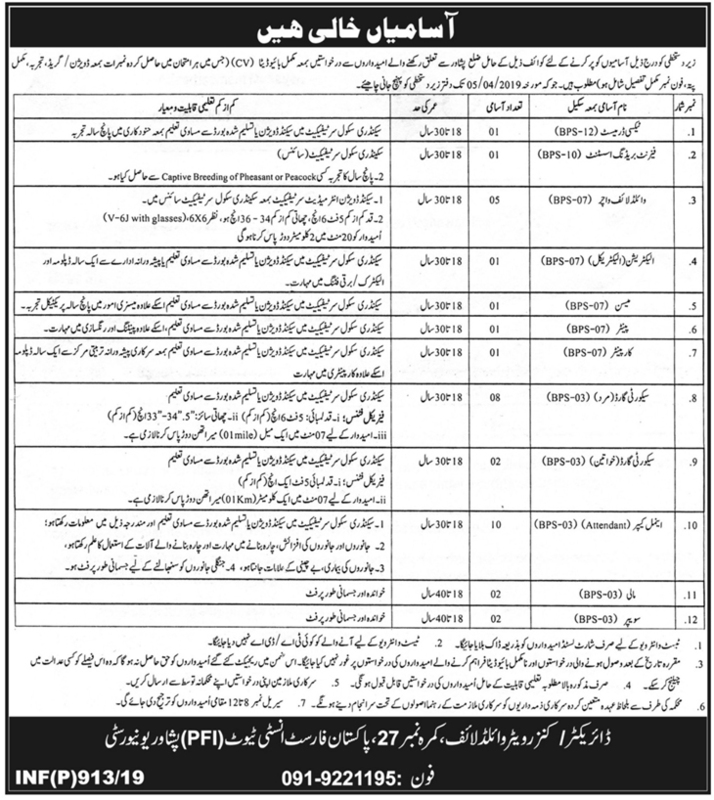 The Government of Pakistan recently announced an advertisement for Jobs of Taxi Dermist, Pheasant Breeding Assistant, Wild Life Watcher, Electrician Electrical, Mason, Carpenter, Painter, Security Guard, Animal Keeper, Mali and Sweeper in the Pakistan Forest Institute Peshawar. Pakistan Forest Institute Peshawar has required the applications for the following jobs. How To Apply: The interested candidates may send or submit their applications to the Pakistan Forest Institue (PFI) Peshawar University.